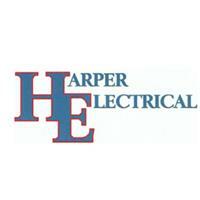 Harper Electrical - Electrician based in Walsall, West Midlands. We are a quality electrical installation / fault find and repair company based in the West Midlands. With over 15 years’ electrical experience we offer a wide range of services, working on domestic projects. All our work is carried out with the customers’ needs in mind, from conception to completion. We provide the upmost professionalism and workmanship to the highest standards, we pride ourselves on being the best. Fully DBS (CRB) checked Electricians. All forms of electrical work undertaken , from installing an additional socket or lighting point to a full property re-wire. We understand the importance of keeping homeowners safe and provide an Inspection and Test service. (electrical installation and condition reports and visual inspections) for landlords, homeowners, home buyers and vendors, we will also provide you with honest advice on replacement consumer units. We are specialists in electrical faults and offer a fault find and repair service, including the following: RCD tripping, MCB tripping, wiring faults, broken light switches, socket outlets, light fittings, shower pull switches, Showers, storage heater and immersion heater, Instantaneous water heaters and electric boilers ( Pulsa coil, Gledhill and Stiebel Eltron) and much more.